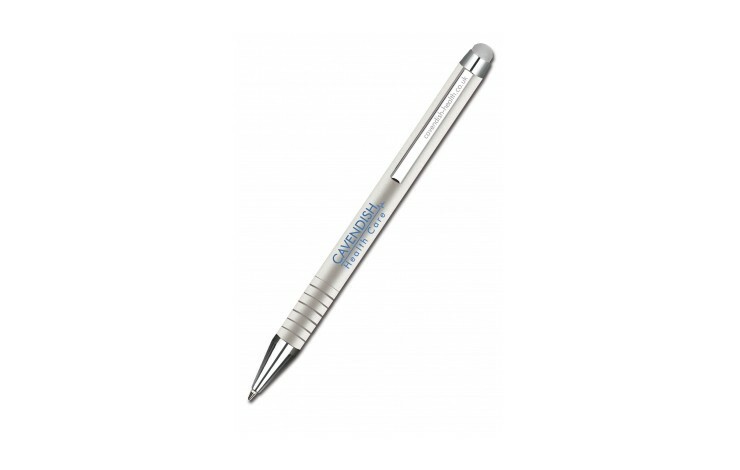 A superb quality hybrid ballpen in matt black, rose gold or silver anodised aluminium with a rubber touch stylus tip for use on touch screen devices. Fitted with a German made 'easyFlow' black ink refill - this is a ballpen with the free flowing writing characteristics of a rollerball! Various presentation boxes are available at additional cost. Standard prices based on printing, however, engraving is available POA. Available in Black or Silver as standard, Gold available at a small extra cost. 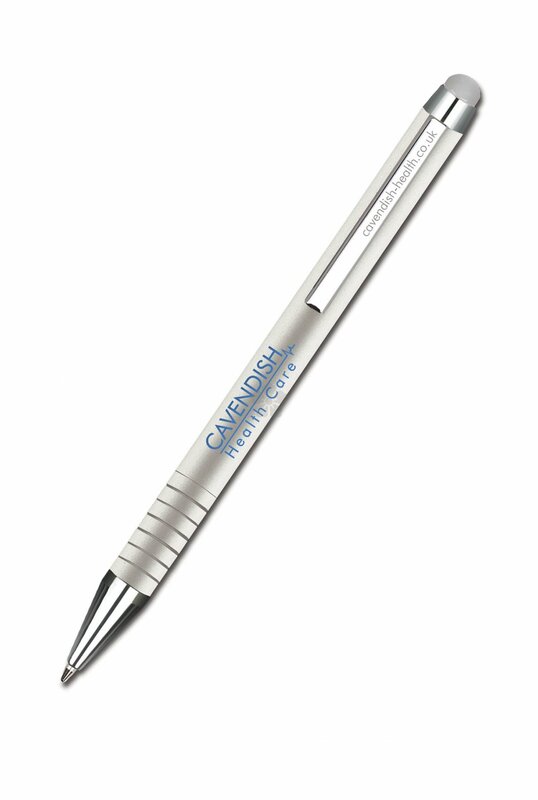 Handy Pen & Stylus in One! Individual presentation boxes available POA.